General Motors' OnStar subsidiary is developing a series of Android mobile applications for its upcoming Chevrolet Volt electric car. OnStar is using "Google technology" to develop a series of mobile applications, the company said Tuesday, adding that the Android applications will be detailed at Google's I/O conference. The statement did not offer details of the new applications. An attempt to shake GM from its gas-guzzling roots, the Chevrolet Volt is completely electric, without the gas combustion engines found in hybrid vehicles like Toyota's Prius. The car can run 40 miles (64.4 kilometers) on a single charge, according to GM. 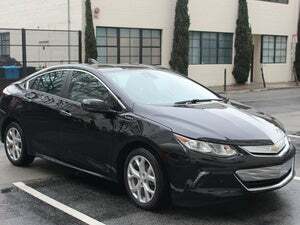 Mobile applications have long been a part of GM's plans for the Volt, which will hit streets in the U.S. later this year. At the Consumer Electronics Show in Las Vegas earlier this year, GM showed off basic mobile Volt applications for the iPhone, BlackBerry and Android. Earlier this month, Motor Trend reported that GM was negotiating with Google to develop a telematics system for the Volt that is based on Android. While the announcement that GM is developing a series of Android apps for the Volt didn't mention the vehicle's telematics system, it did offer one possible hint of a tilt towards Android: a navigation tab has been added to an upgrade to the Android version of the existing Volt application. When users click on the tab, the location of the car relative to their own location is shown in Google Maps, suggesting a link to a GPS system contained in the car. Google's I/O conference starts Wednesday.